As of 2 October 2018, the following on-campus accommodation is still available for 2 - 6 December 2018. Please contact the Colleges directly to secure your booking. Note: the higher end rooms are on hold till the end of June and as such will not show as being available on the College websites. Please contact the colleges directly by phone or email as listed below and mention ‘Organic18 Conference’ to secure your booking. 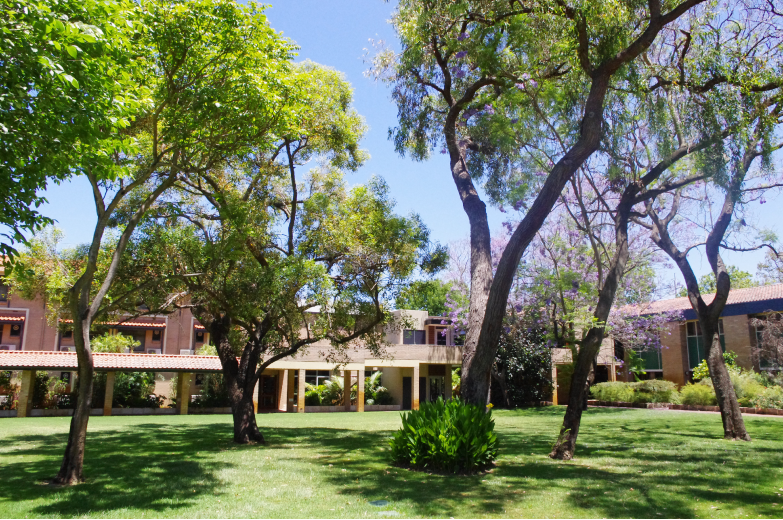 St George's is located directly opposite UWA and between the Swan River and King's Park. Its original buildings and chapel are in the Victorian Gothic Revival style. The College also features heritage-listed gardens. 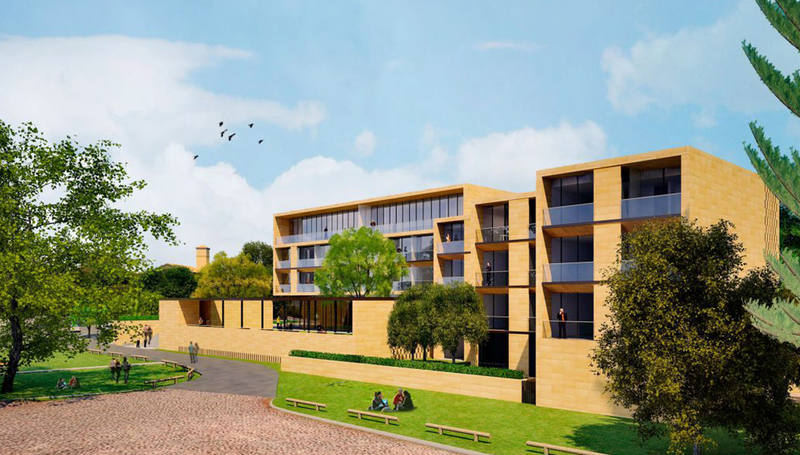 Memorial Wing Townhouse - The six Memorial Wing Townhouses each comprise of 3 double en suite rooms. The townhouses are ideal for small groups and are fully self-contained. One wheelchair accessible townhouse is available. Newby Wing Single Room - The modern Newby Single rooms are located in the Newby Wing, close to the College Dining Hall. North and South Wing Single, Twin and Double Rooms - The North and South Wings are located at the rear of the College, close to King’s Park and the Chapel. Original Wing Rooms - Built in 1931, these rooms are the original College rooms housed within the main building. Located over three levels, the Original Wing rooms are grouped together with shared bathroom facilities. They possess a distinct character, with a feeling of tradition and history thanks to the generations of scholars that have passed through. Contemporary self-contained and serviced executive apartments offer guests an unforgettable experience. Relax and rejuvenate in the tranquil Rooftop Garden Terrace, nestled amongst lush green trees, guests can enjoy sweeping views of the many nearby landmarks. Free high speed Wi-Fi connection and a complimentary cooked breakfast is served daily in historic Withnell Dining Hall and included as part of your stay. Executive Studio Apartment - Features queen bed, lounge, 32 inch LCD TV, WIFI connectivity, full size fridge, microwave and hotplates. Premium Studio Apartment - Features include King Bed, lounge, 40 inch LCD TV, WIFI connectivity, full size fridge, microwave, hotplates and comes with a large private balcony. Executive One Bedroom Apartment - Features include queen bed, lounge, 32 inch LCD TV, WIFI connectivity, full size fridge, microwave & hotplates. Bedroom with bathroom ensuite and separate lounge area with kitchenette. Premium One Bedroom Apartment - Features include king bed, lounge, 40 inch LCD TV, WIFI connectivity, full size fridge, microwave, hotplates and comes with a large private balcony. Bedroom with bathroom ensuite and separate lounge area with kitchenette. Trinity is located directly opposite UWA - a short stroll to the Campus through an underpass or walk along the magnificent nearby Matilda Bay. Stay in air-conditioned, en-suite rooms in this premium, affordable 3.5* accommodation. Rates include complimentary breakfast, Wi-fi and parking. Relax in beautifully maintained gardens and make use of common areas. Accommodation includes breakfast at UniClub and free Wi-Fi. Studio Room - Overlooking Matilda Bay, starts from $120 per night. 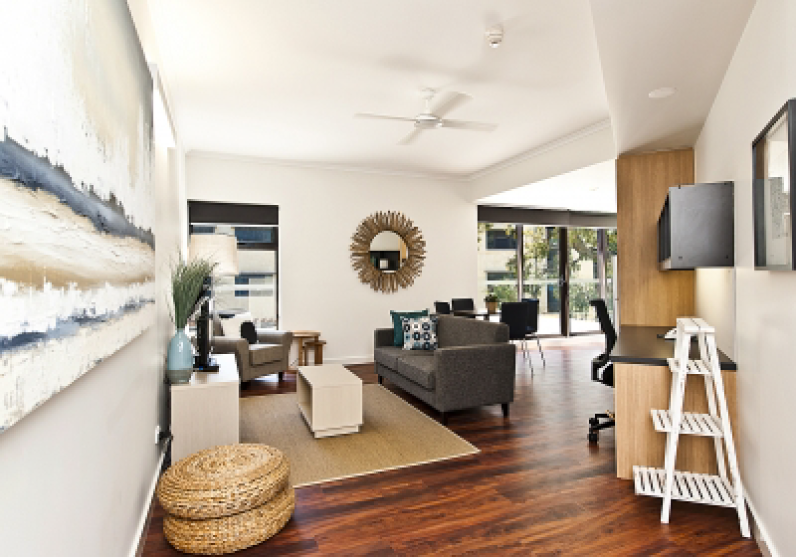 Two Bedroom Apartment - Overlooking Matilda Bay, starts from $150 per night.